It has been about six months since I last visited Australia and although I spent a few hours in Sydney during that trip I never made it to the city centre. So really it feels like over a year since I left Sydney with very high impressions yet it’s all that has been on my mind recently. I think that’s because I keep reading blogs about this city and am obsessed with the Aquabumps Instagram feed which I seem to tell you about weekly! Since I’ve been dreaming about Sydney, I’ve been thinking about all the things I would want to do even if I had just one day in this amazing city. 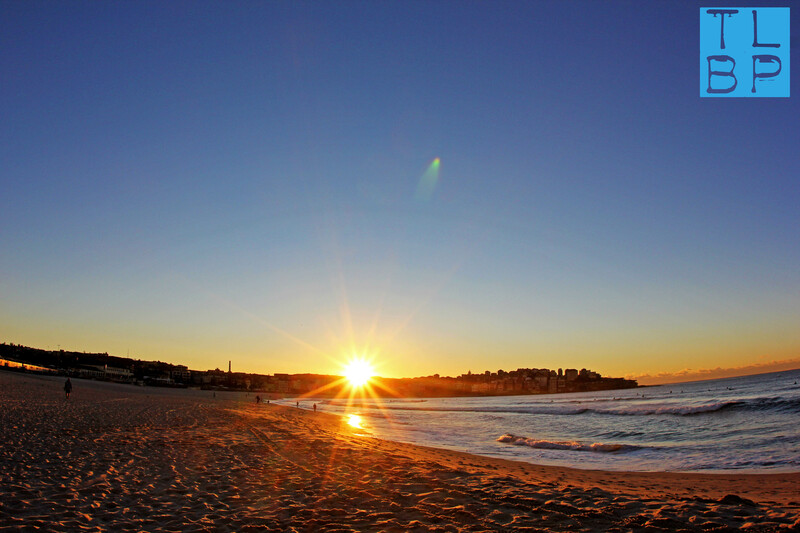 Sunrise on Bondi Beach – it is just amazing. Depending on the time of year will depend on how early you need to rise for the occasion but if you are staying in Bondi you could just roll out of bed. The beach is normally packed with fitness goers in the summer but come winter it’s a lot more quiet. Despite this the surfers don’t care abut the weather, they will be out no matter what. The colours the sun brings to the sky are just incredible, it’s worth being on the beach half an hour before sunrises and half an hour after because the sky constantly changes. Once sunrise is over head up to Trio for breakfast however if it’s the middle of summer you’ll have to wait a little as they don’t open till 7.30/8 am. I promise it’s worth the wait however the breakfast choice is awesome and the food is just amazing! They have all of your typical Aussie breakfast favourites – all those things that back in the UK I crave for, they just don’t understand how to do breakfast here. Getting here as they open is always a good idea so that you can grab one of those front tables with a great view of the beach. 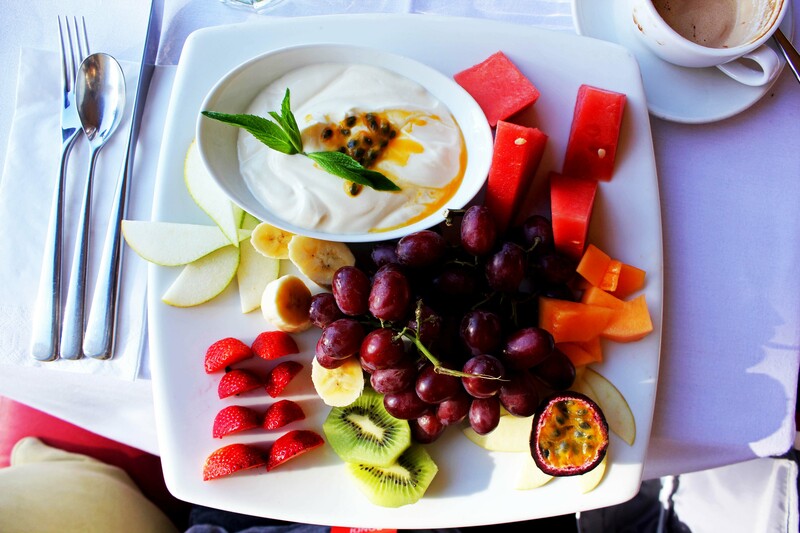 After breakfast it’s time to walk off some of those calories you have just eaten. The walk from Bondi Beach to Bronte Beach is probably Sydney’s most famous. Walking along the cliff path we even saw dolphins below us when we did this walk. You will meet a lot of runners along this path but they quickly whizz around you before you even notice. If you take this walk in November you will be able to enjoy the art exhibition too. The walk is around 3km and will take about an hour, depending on your walking speed. 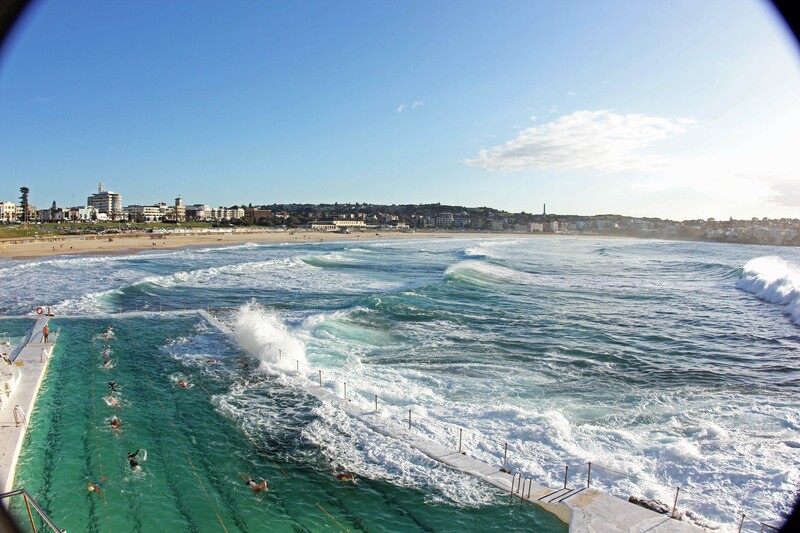 Once at Bronte enjoy a rest on the beach or if you’re brave enough a dip in the ocean pool – I last all of three seconds before getting out! Don’t delay for too long though because there is still plenty to fit in to this day. Starting with a stop at G’day Bronte, I hope you have space for a second breakfast because trust me you’ll want one. I love Trio but there is just something about G’day Bronte which makes it my favourite place in Sydney for food. The staff are friendly, it has the quirky Melbourne feel without being snobby and the food/drink is amazing. From here you want to head for the city (I’m sure there must be a bus from Bronte but I’ve never actually done it) and to the harbour so you can take a ferry to Manly. You will find the ferry at Wharf Three and they run every half and hour. 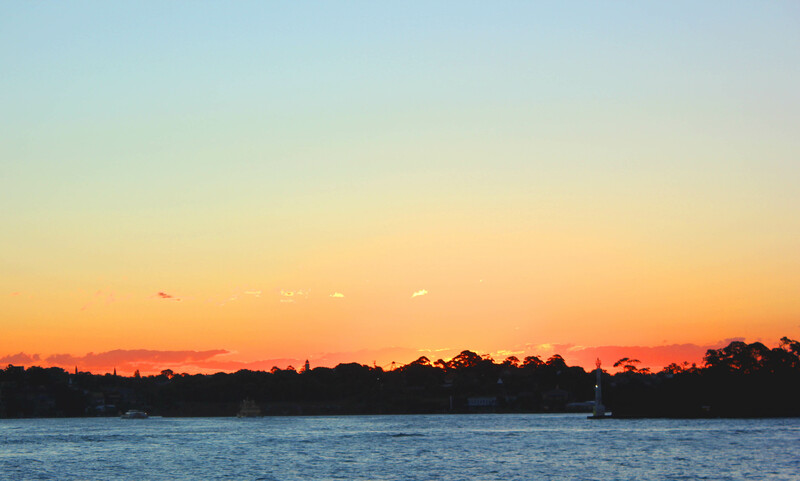 The ferry ride itself is an experience, watching the skyline of Sydney get smaller and smaller until it disappears from site. I still think having that as a commute everyday would keep anyone happy. 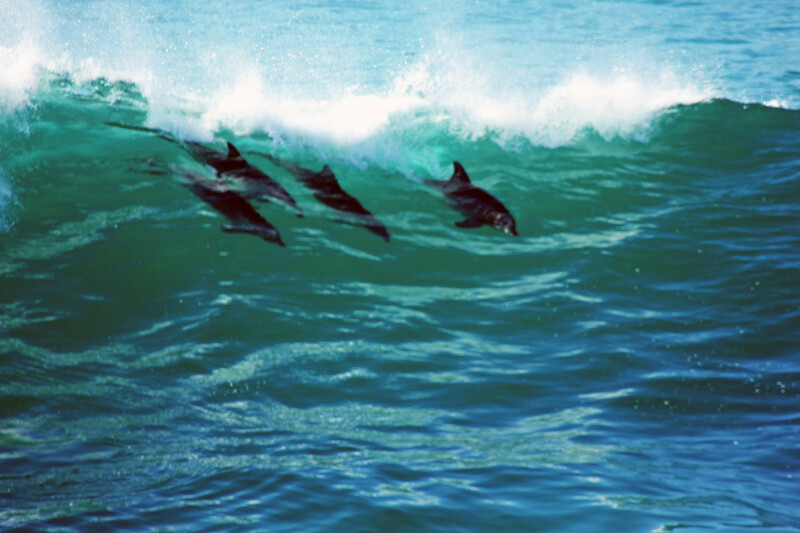 Once you arrive in Manly take you time to explore the small town before heading to the beach. Either take some time to sit and relax or if you’re up for another walk then head to your right (as you face the sea). Manly is such a lovely beach and some times gets underrated because of Bondi but I love them both for different reasons. Manly has a much more family friendly feel too it and I’ve never seen it as packed as Bondi either. Now I know we’ve had a lot of food on this make believe perfect day but if you have any space I would certainly suggest getting some fish and chips to eat on the beach. You will be spoilt for choice with where to buy them and you won’t go wrong which ever you choose. After you have spent the afternoon relaxing in Manly head back to the ferry terminal and catch a ferry back to the Sydney Harbour. Take some time to wander around the quay, get up close to the Opera House and maybe even stop for a drink in one of the many bars there. They all feel glamorous and are all equally over priced but it is worth it for one drink – especially if you have some time to kill. My last two suggestions of the day are heading over the Harbour Bridge on the last walk of the day and to capture sunset. You get a lovely view from the other side of the bridge and there is that oh so tacky Luna Park if you really wish. I just like it because it makes pretty pictures. Enjoy your time on the bridge too, the views of the Opera House, harbour and city are good from here and often a spot that tourists over look because they want both the bridge and Opera House in their photos. Once your back over the bridge on the harbour side head round to the Sydney Theatre Company and grab some dinner and drinks in the bar. This little hidden spot has amazing views of the bridge and water, awesome food and such a lovely lounge around. It gets busy in here a few hours before a theatre show but otherwise it is the perfect spot to show off to visitors. I was certainly amazing by this little gem. 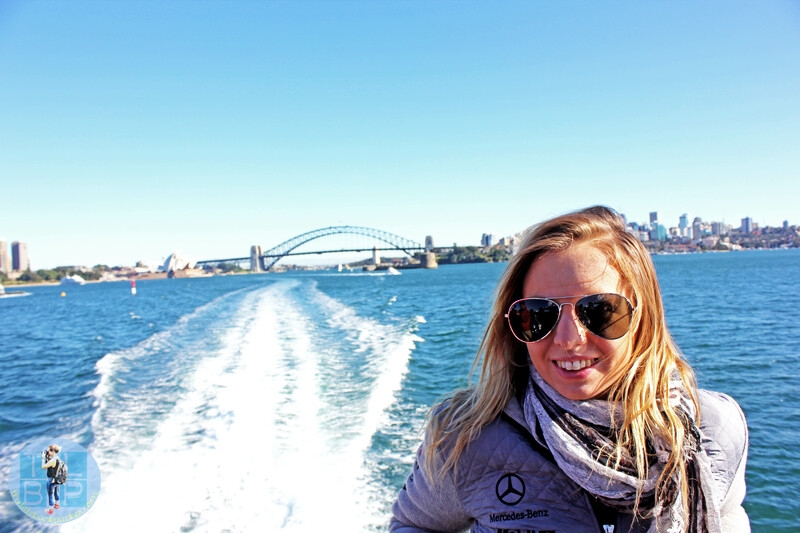 Great tips – I feel like I need to go back to Sydney now and do it all over again! Sydney is my true LOVE. I never did find any fish and chip shops but if I ever go back I know where to look now! I loved Darling Harbour, the underground shopping malls and Coogee. That’s just for starters. Can I go back there now please?